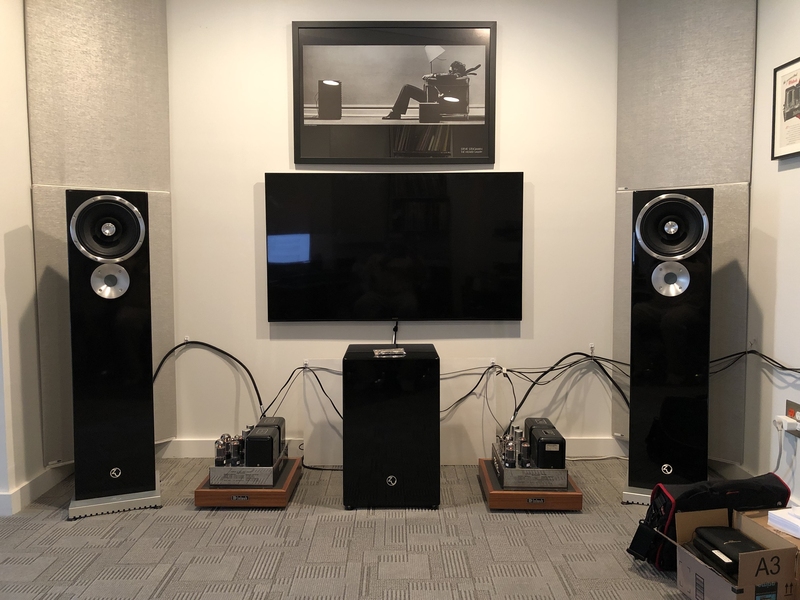 Funny: having recommended a pair of Druid 6 for a total HiFi newbie-friend a few months ago, I had the opportunity to visit Sean Casey and team just as my friend’s new kicks were being built. A surprise photo shoot turned into a full blown factory visit and bonus new series, coffee talk with Sean. Spontaneous, honest and truthful, Sean lays it bare. As part of Audiophile Style’s 5 minute videos, I simply fleshed it out DK style and added even more authenticity. Look for these coffee talks to be added to more videos coming up in due time. I like it and I hope you will too. Far from marketing speak, double talk and firlefanz, coffee talk with Sean is a legit look at who Sean – and by extension, Zu Audio – really, nay, honestly, is. Refreshing I’d say! No stranger to Zu, I have known Sean for close to twenty years. In fact, I met Sean at one of Zu’s early roadshows, where Sean and Adam (his then business partner) would travel from big city to big city in an effort to bring the magic of Zu to the masses. A direct sales model since the beginning, Zu relied heavily on these roadshows and house parties to get the word out. It worked. Within a few short years, Zu was on the literal “in” of inside. Having owned several of their models beginning with the first Definition sometime in 2005 or 2006, I always enjoyed the Zu sound. It’s direct. It’s soulful and it speaks musical truth. Fundamental to their sound has always been the whizzer cone’d 10.5 inch full range custom built driver which in its latest iteration – contained within Druid 6 – proves to be the real deal. Hence my support for all things Zu. You either get it, or you don’t. There’s little room for persuasion, no matter the kind. That said, Zu has been on a roll. Especially these last few years, Zu has finally grown up and the HiFi press has taken note – resistance was in fact futile. How could you resist anyway? 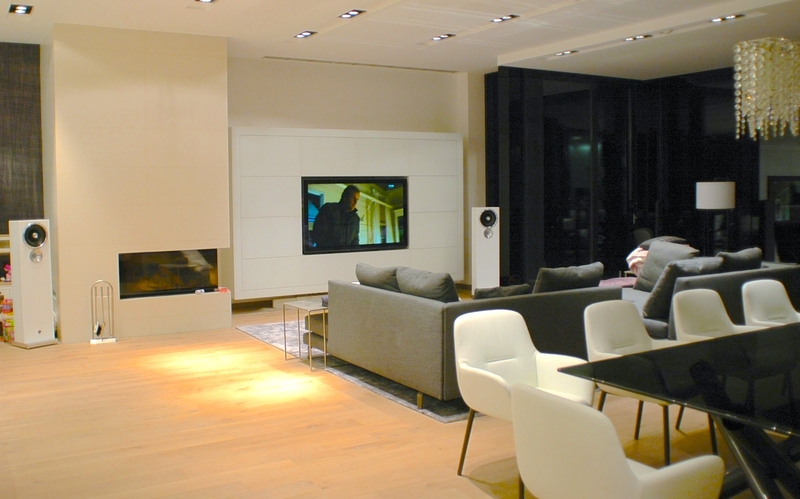 The coolest show room with coolest music? Zu. Hippest dudes in the biz? Zu. Honest feedback on all things HiFi? Zu. Did I mention they play killer – read non-audiophile – music wherever possible? Check. If there’s one thing you can count on is that Zu will always be Zu. That said, my quick visit to their factory in Ogden, Utah, turned out to become the video you see here. With a pair of Druid 6 coming my way early summer, look for a review right here at Audiophile Style in due time. If you happen to be in the area, house party details will be posted at zu.com – check in and say hi! Meanwhile, enjoy this video and stay tuned for more. Here’s to the rebels at Zu. Cheers! Thank you! Sean is legit and honest! Looking forward to Axpona and more video content. I love my Zu speakers... I am sad to see them go. Sean is indeed a great guy. Some years back, over the course of a few months, he was helping me track a pair of Zu Druid speakers that had been discontinued. He spent quite a number of hours with me on the phone, where we discussed everything from room size, to ideal amps, to music etc. I wasn't even buying a pair of speakers that he would be making money on and he still was kind enough to spend that time on the phone with me. Eventually, he located a pair that no one realized existed, except his sales manager, who still had them at his home to demo for potential customers who might have been amongst guests to his house. Sean had them replaced with the then new Druid V. He had the older versions sent back to the factory for a complete reworking, and then sold them to me at virtually the used price, with full warranty and 30 day in home guarantee. What a pleasure it was getting to know him, and dealing with him. One of the truly outstanding people in audio. Sounds like Zu is the speaker equivalent of Schiit Audio are they still a vaiable company and why aren’ they more ‘visible’? reasonable analogy, though not quite: Zu doesn't mass manufacture $99 DACs ... Everything they make is top quality all made in Ogden. As to why they aren't more visible, I hinted at in my brief memo: short story is that like any small company, they cater to a very specific crowd; unlike Schiit which sells $99 DACs to john-dough-music-dude, even Omen Dirty weekends at $999 are massive dollar spend for that same $99 DAC customer. The air gets thinner the higher up you go - Druid V at $5k is a major investment for anyone outside of audio, heck, even inside of audio. I think you might be more than a bit surprised at how much business Zu does, or, for that matter Schiit. These are companies that do very well, and do not have any great need to advertise or promote themselves. They are already selling at the rate they can effectively supportPerhaps it has never occurred to you that in many instances, those audio companies who are extremely visible and have ads in every audio publication must do that to generate business. In many other fields, visible companies who advertise freely and will do anything to promote themselves are to be avoided at all costs. Thats especially true in the wine business, the beer business and in law/legal and medical venues. If you have to advertise, you're already a low end product, at best. I am on my second set of Zu speakers, my son is loving my original Zu Essence speakers, and I am still in love with my Druid V speakers + UnderTone Sub. Seeing that the Druid is now at VI, and they were a great cable company even before that, Zu has been around a good while, and weathered more than one economic downturn. Sean and his team are very personable, easy to talk to, and absolutely LOVE music. If I ever feel then need to upgrade my speakers, I will be looking at the newest Zu offering before looking elsewhere. My Dad’s MC60s. I had them restored, as one was not working. New tubes also. They sound terrific. The Zu Druids are sensitive enough, that some work was needed with the hum and gain pots. I was also able to do a bit of room correction with the gain controls. You can just see the hallway entrance at the left of the picture. I had been using Roon for balancing the sound, I could make the left side a bit louder with the gain controls, and relieve Roon of that work. Plus, it’s balanced for all my sources now, not just the digital through Roon. A successful brand story indeed. As much as i liked these speakers with alt rock and darker pop they never worked for me with Jazz or more complex classical. Some reviewers said the Druid VI can do classical - anybody able to chime in on this? Thx! I have the last years model, but I find Jazz sublime. Not well enough versed to answer on the classical. Could you elaborate a bit on the jazz styles you listen to? Small ensemble, slow and minute or also faster, more energetic stuff? I probably do listen to the slower side of Jazz (female vocals, Stan Getz), with a lot of guitar (Billy McLaughlin, Rodrigo y Gabriella, Stephen Wake)), LOTS of classic rock (Beach Boys thru ZZ Top), some electronica (deadmau5, David Arkenstone). I do like Handel, Mozart, and other classical music, but it’s lower down the list for me. I do use Toccata and Fugue to enjoy, and help tune, my sub. I also use my system for stereo projection of analog TV sound, or BluRay and Roku. Movie scores are very nice in my room. I will admit that I don’t care for most of the dissonant music types, Jazz or Orchestral. Nor most rap+hip hop. My music tastes developed before those came out. Sean is a really nice guy. It was one of the latest before I left retail completely few years ago. Right, MC60... nice! I just got a pair of MC75s fully restored not that long ago... Then I ended up with a matching C20 pre. Lovely combo!